We Sing Robbie Williams is the third game in the We Sing series for the Wii following on from We Sing Encore. 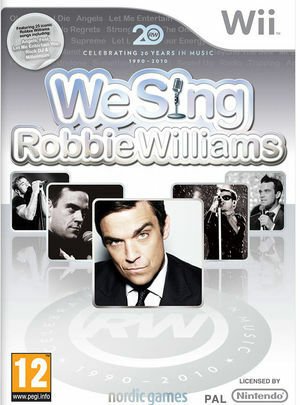 Developed by Le Cortex, produced by Wired Productions and published by Nordic Games, it is the latest singing game in the series to support 4 players simultaneously each with their own microphone and the first in the series to feature an artist, which for this edition is Robbie Williams. The graph below charts the compatibility with We Sing Robbie Williams since Dolphin's 2.0 release, listing revisions only where a compatibility change occurred.